This page is for registering of PyCon JP 2017 Sprints. 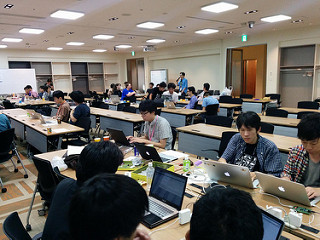 PyCon JP 2017 Development Sprints will be held on 9/09(Sun). Please write the detail of theme at this . ds110_sai published PyCon JP 2017 Development Sprints リーダー&一般参加者. I joined PyCon JP 2017 Development Sprints リーダー&一般参加者!